All beaches are pretty much the same (unless they’re from this list of unusal beaches ). Water, sand and blue sky is the first image most of us have in mind when thinking of beaches. 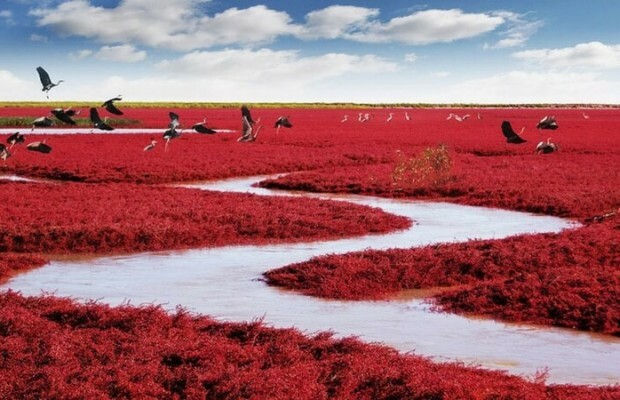 Here is one more unusual beach which besides it’s red, it’s not covered with sand and it looks amazing. 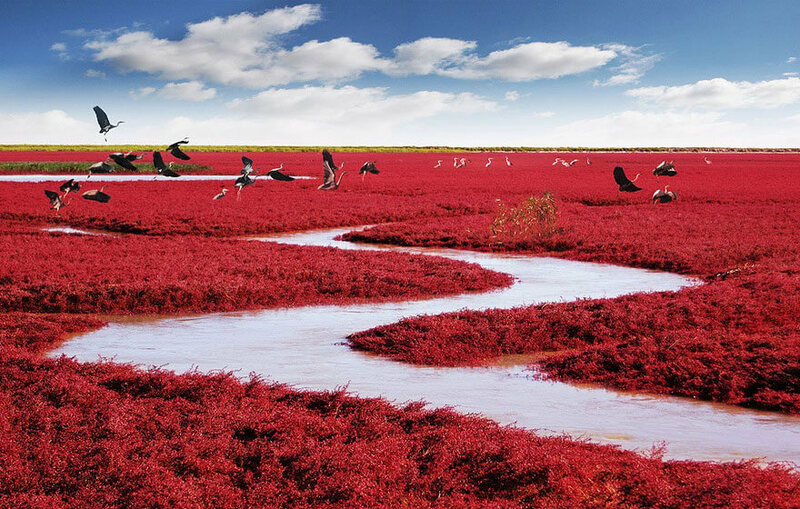 The Red Beach China. 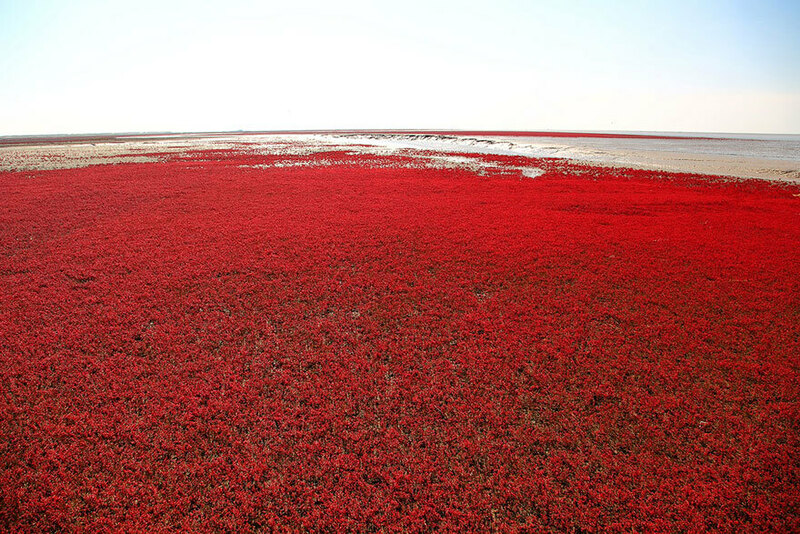 The phenomena that you can see in the photos is caused by a type of seaweed Sueda. 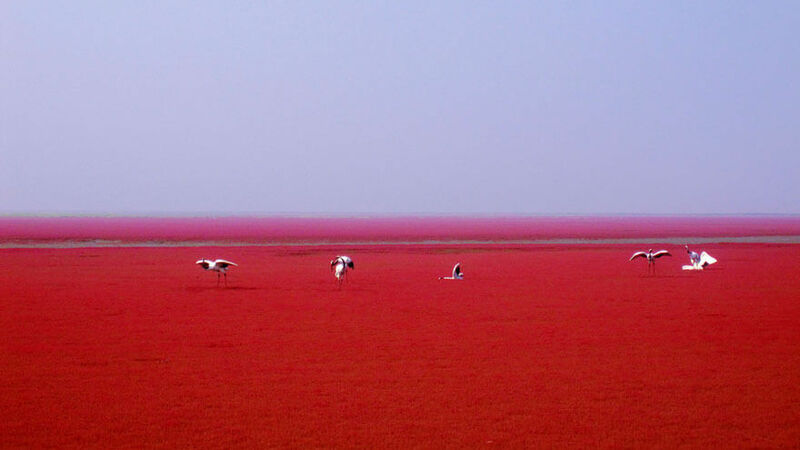 This interesting beach is located in Panjin, China and it’s called (guess!) 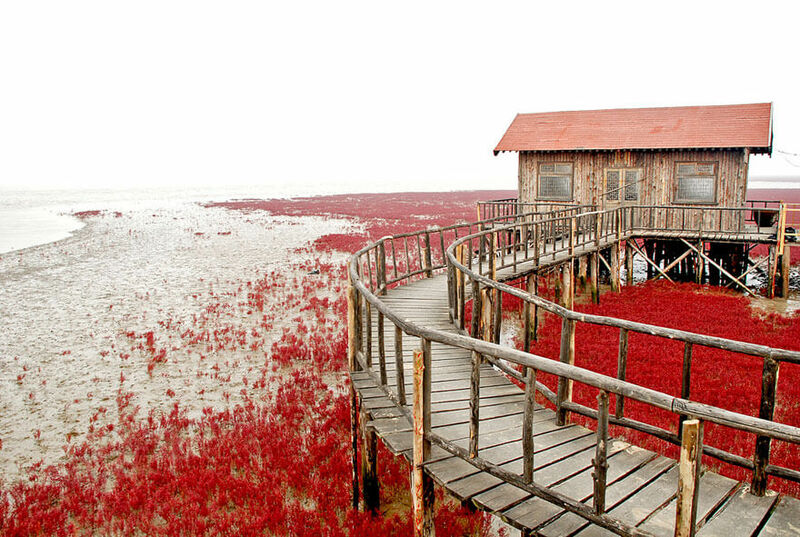 Red Beach. However, this beautiful scenery is not possible to see during a whole year at this location. 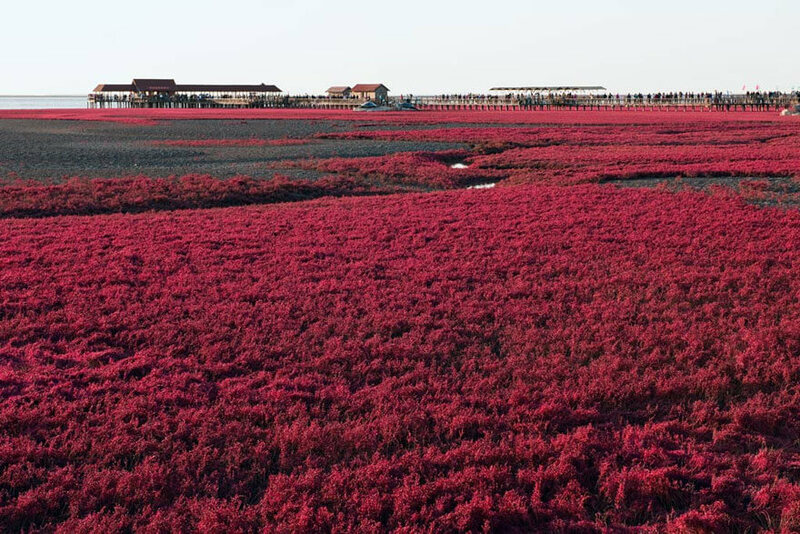 This seaweed grows in April and it’s green during summer. 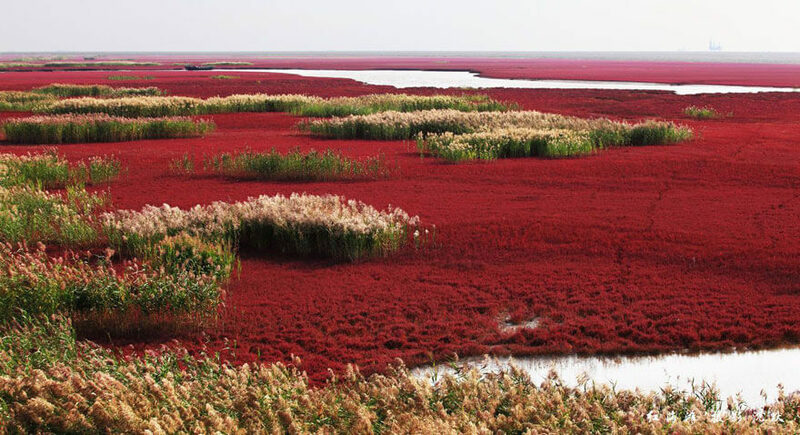 Only in autumn, it turns to this impressive vivid red colour. 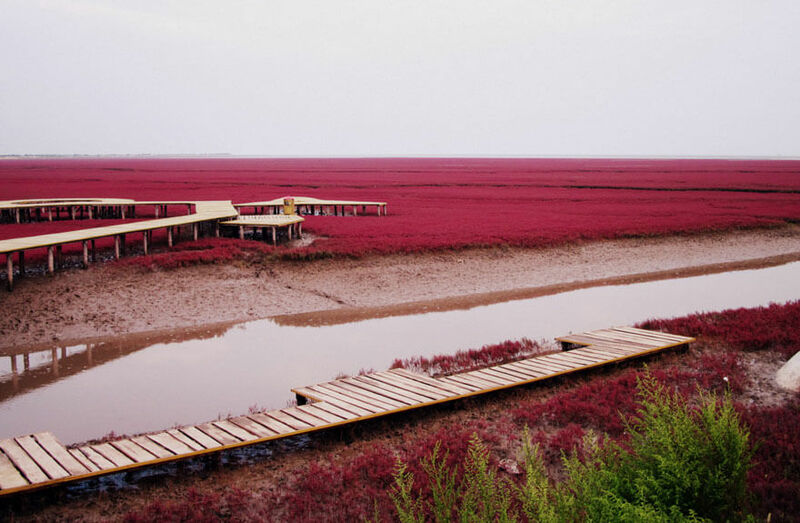 If you wish to visit Red Beach China you may consider that only a small area is open to the public. 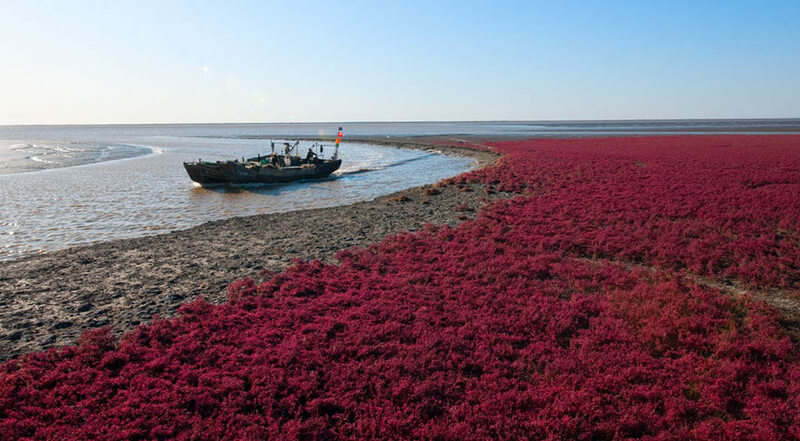 The reason is the area was granted state-level protection back in 1988, and the reason for that is keeping the ecosystem safe which happens to be the most completed ecosystem that can be found. 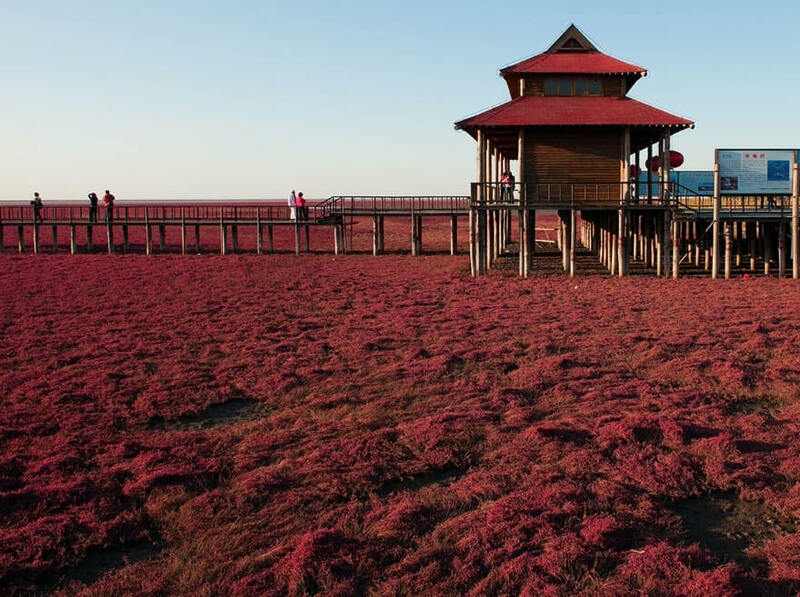 Red Beach is located in the biggest wetland and reed marsh in the world and the area has become home to more than 260 kinds of birds and 399 kinds of wild animals. Enjoy the gallery and don’t bother yourself with the question – Is this photoshopped? We assure you it’s not. The area is called ” Home of the Cranes ” bacuase you can find endangered Crown Cranes and Black Beaked Gulls.